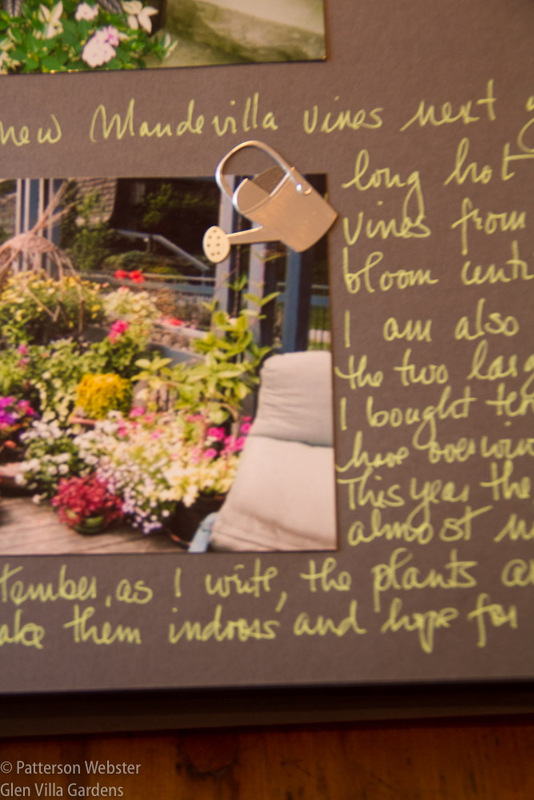 For the last sixteen years I’ve kept a record of what happens each year in the garden. I’ve conscientiously photographed each project I’ve undertaken, each border as it changed from season to season, each modification I made or was thinking about making. 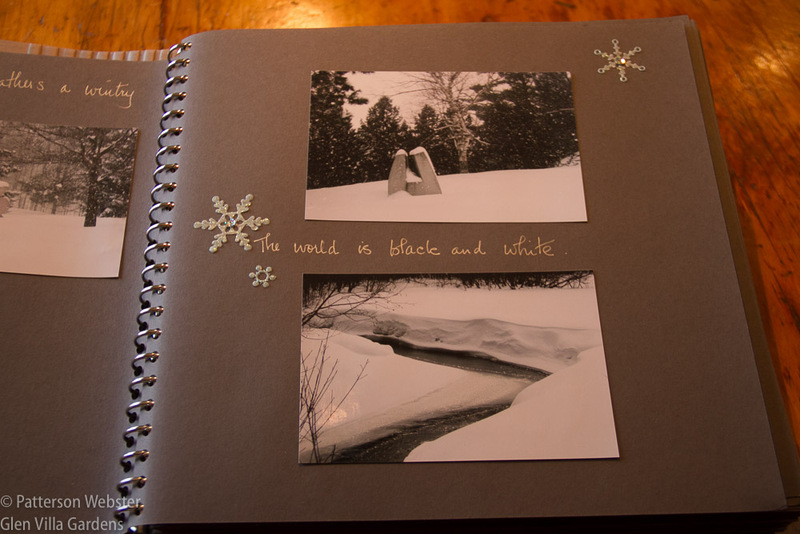 I’ve stuck these photographs into albums and written comments — about my intentions for a project, or the weather, what I was wanting to do next — in effect, about anything that seemed relevant at the time. These albums are immensely helpful. They are a record of how the garden has developed. They both show and tell how my ideas and abilities have changed over time. They are a reminder of what I was wanting to accomplish at any particular point, and chronicle my successes and failures. They are a source of interest and amusement, a pleasure to read and re-read. 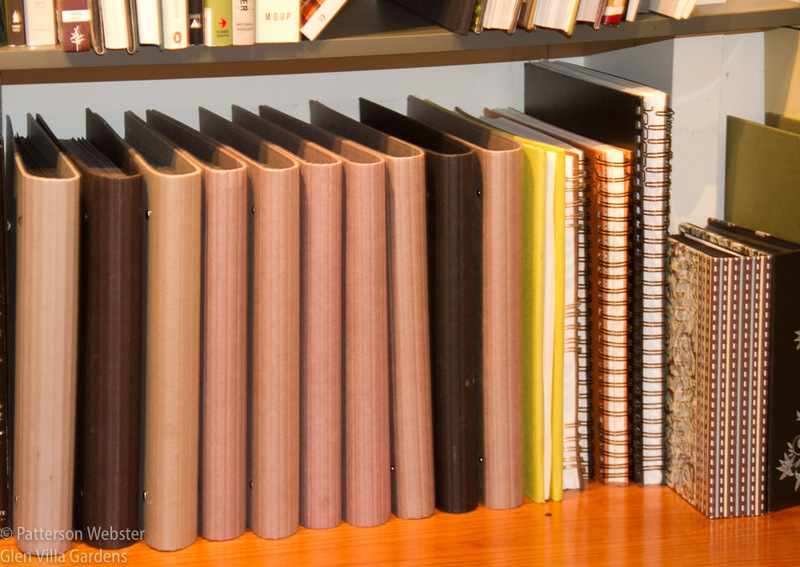 As albums I have used the 23-ring binders made by Semikolon, a German company, ever since I discovered them. Unfortunately I can no longer get these binders in Canada. Over the sixteen years I’ve filled 17 albums — it took a few years before I decided that one album per year was the way to go. In the early years I sometimes added drawings or other decorations, or experimented with different coloured inks. 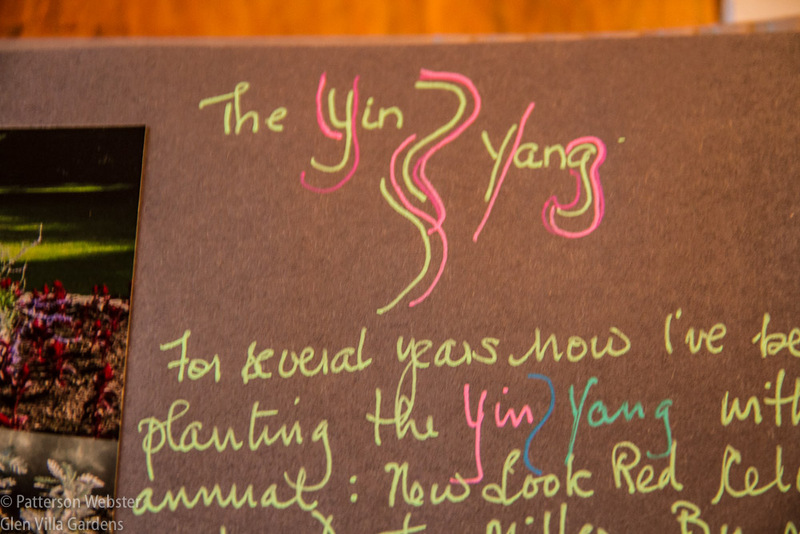 Judging from the text, this is the year I re-planted the Yin/Yang, rejecting annuals in favour of Panicum ‘Heavy Metal’ and a red-toned plant whose name I don’t remember. Only certain colours and certain gel inks show up on dark paper. and watering cans for a bit of summer fun. It’s hard to remember why I wanted so many containers on the deck. I now prefer a much simpler, pared-down look. In more recent years, these decorative touches vanished. But while some things have changed, others have remained the same. The first page of each album always gives the year and the volume number. The photo on the first page usually shows a winter scene but in 2006 I chose one that emphasized shadows and late afternoon light. I don’t know why, maybe simply because I liked it. The last page says something about the year as a whole. 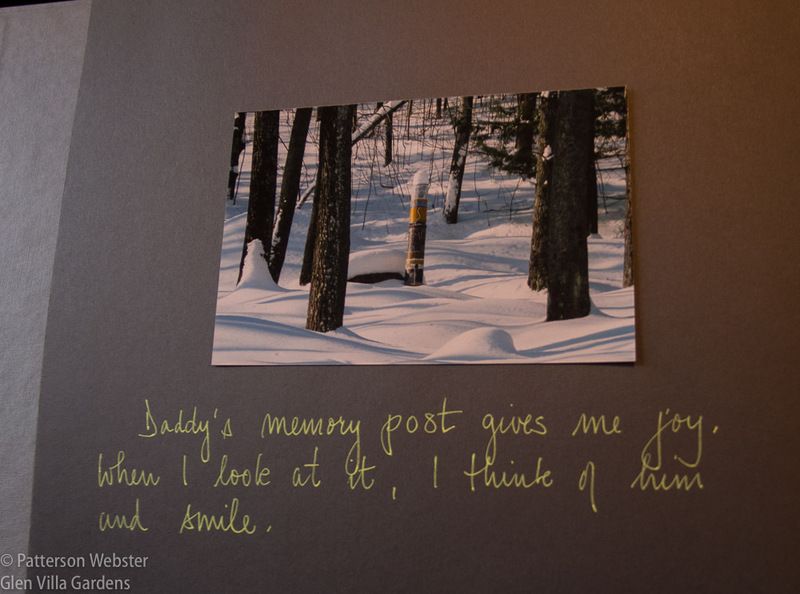 This photo on the last page of 2007, volume 9, shows the memory post I made to honour my father and clearly acknowledges how much I loved him. 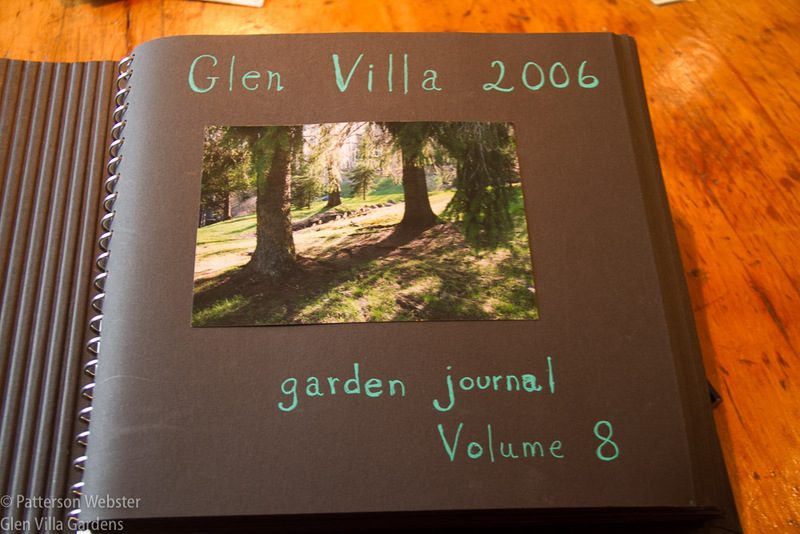 Along with the photo albums I’ve kept garden journals. These journals are where I record information about plants, how many I planted, and where, the where I sourced them, their growing conditions and how well they fared. I’m now using the green book, aka garden journal number 5. I also use the journals to keep track of things I need to do later in the year, or in the following year, marking the jobs To do so I don’t forget. I was careful to take a photo of a page where I have done most of what I said I needed to do. 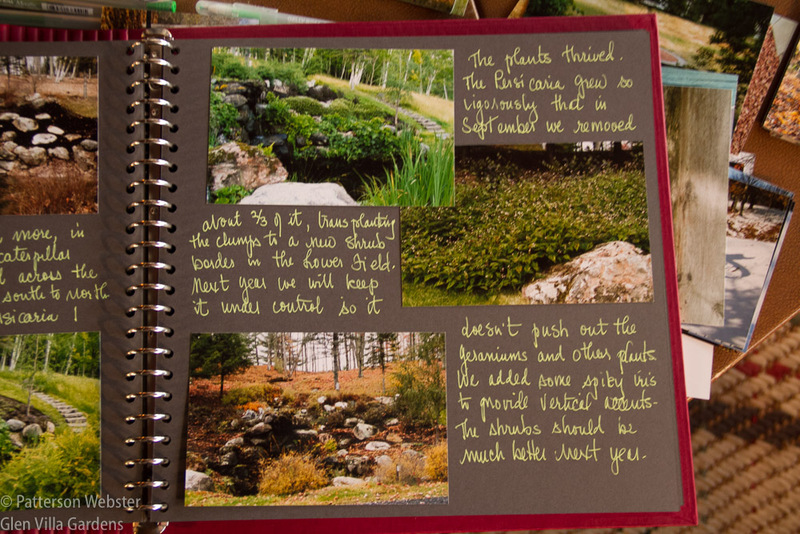 In the journals I sometimes sketch ideas for new projects, or make lists of plants to order, or keep track of who visits the garden and the comments they made. These rough sketches show my ideas for In Transit/En Route, the trail through the woods that leads to the Sundial Clearing. Add to the albums and the journals the spreadsheets I keep on the computer. One spreadsheet is for plants I start from seed, the other for plants I buy. I list the botanical and common name, the year I bought the plants, where I bought them and how many I purchased, where they were planted and how well they performed. If I transplant them, I note that as well. All this I’ve done faithfully for 16 years. Until this year, that is, when everything ground to a stop. Not entirely, I must say. I did make random notes in the journal and sometimes I remembered to up-date the list on the computer. But the albums I ignored entirely. I’m not really sure why. Writing this blog is another way of recording what happens in the garden, but I’ve been writing the blog for several years now, and this is the first year that I haven’t kept up with my garden album. It was a particularly busy summer, with many groups visiting the garden, not to mention our first Open Garden Day, an event that required a lot of time and effort to prepare for. But others years have been busy, too, so that can’t be the only reason. Am I tired of keeping an album? Did I decide without realizing it that the albums were no longer of use? Or was I simply forgetful? I can’t decide why, and figuring it out seems less important than deciding what to do about it. Once I focused on that question, the decision, was obvious. I had to act. I wanted to act. So I sorted through the year’s worth of photos stored on my computer, printed more than I want to count and began to fill my album for 2016. This album, volume 18, will be arranged by project, not chronologically. The pink thing on the table holds the tabs that stick the photos to the page. I’ve completed only part of the job and still have many piles of projects to put into the album and write about. Sorting the photos into categories has taken time but seeing the number of stacks that resulted showed clearly how many different projects we worked on this year. Writing the comments underlined how much detail I’ve forgotten already. And if these albums are to remain helpful as memory prods, the details matter. To me, at least. This page records what happened this year with the plantings at The Cascade. 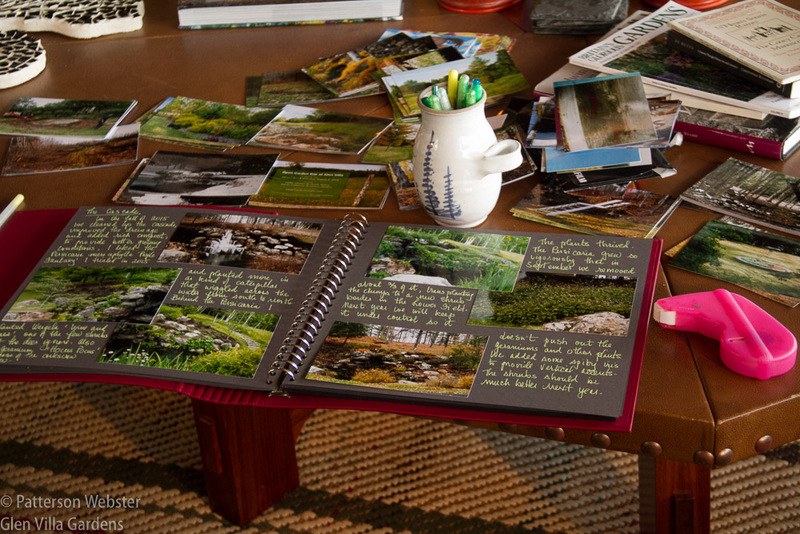 So I’m making a New Year’s Resolution and I’m making it now: in 2017 I resolve to fill the garden album month by month, project by project. Re-living an entire year in the garden has its pleasures, but filling the album, a job I normally enjoy, is tedious when it takes too long. Did I mention that details slip through the cracks? Am I the only obsessive record keeper? Or am I a slacker compared with other gardeners? I’m still soliciting responses for my survey of garden record-keeping. (At this point, I’m almost halfway to my goal of 100 responses.) If you keep garden records but have not yet completed the survey, I’d appreciate your help. The survey is very short and takes very little time to complete. Please also share this survey link with other gardeners you know: https://www.surveymonkey.com/r/5792QH3..
Whatever type of records you keep, please record this: May 2017 be filled with joy and may your garden flourish! Progress reports are usually a must! Perhaps recording the garden and your weekly posting can be combined? Going digital with PDF’s etc. is a good way to go but then going to Germany and getting your favorite binder is not a bad idea either. 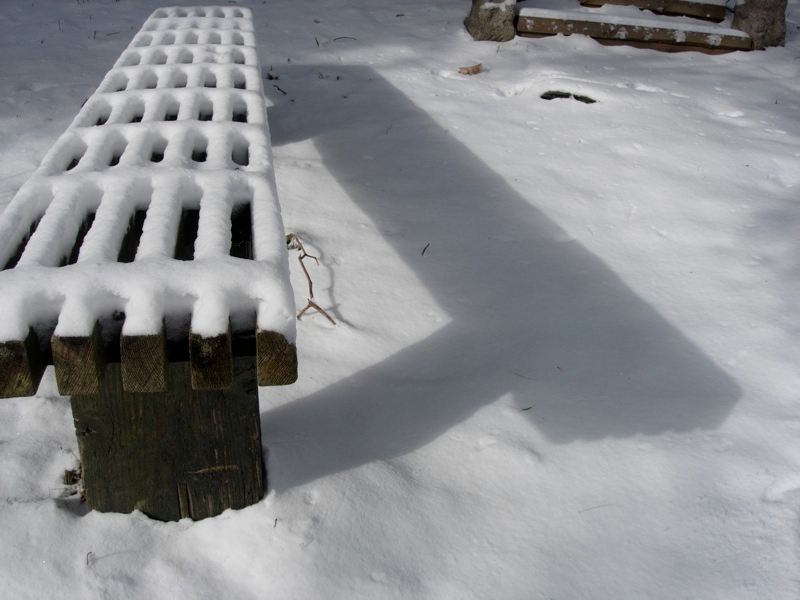 Also with the way the weather goes you might have a few “snowed-in” days to catch up. Possibly someone you know might put it in an eBook for you too…..what’s in your sap bucket! Sap bucket is empty, 2016 album almost full. Further more if all else fails just have the greatest Christmas! Wishing you and all your family a very Merry Christmas! Time is always the issue with keeping records. I am surprised you can travel as much as you do and still keep all those various records. I have been keeping planting records in Evernote lately. My photos stay on my hard drive, but I do try to annotate them. I still use Picasa as my photo organizer on my computer, even though it’s no longer being supported, and I add details to the photos with that. I also have a big basket of plant labels and other info that need to be entered into Evernote. I don’t know Evernote but will check it out. I like Lightroom as a photo organizer. You can add as many keywords as you want, which makes finding photos fairly easy. Have you checked Amazon for your German journals? Just type in 23 ring Semikolon binders. Not available on Canadian Amazon but it is on the US site… as I mentioned to my Boston-based daughter… Hint, hint. 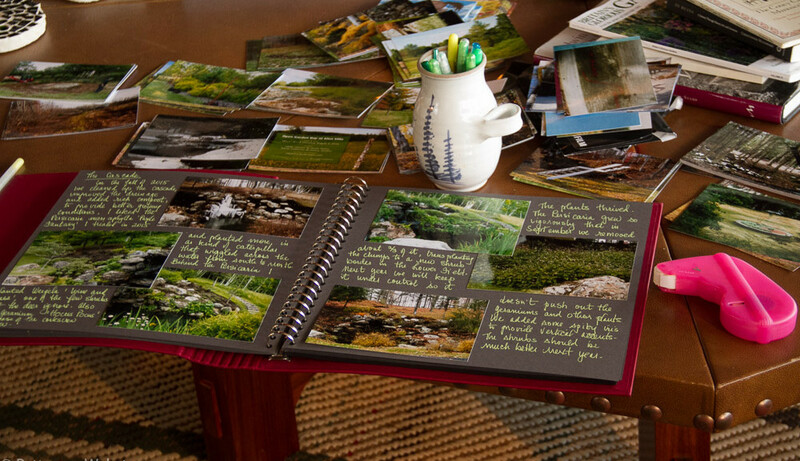 I love the way you have kept your garden journals. I always mean to do this, especially for things like recording bloom times from year to year, but I never do. The blog is a sort of journal, but not very methodical. 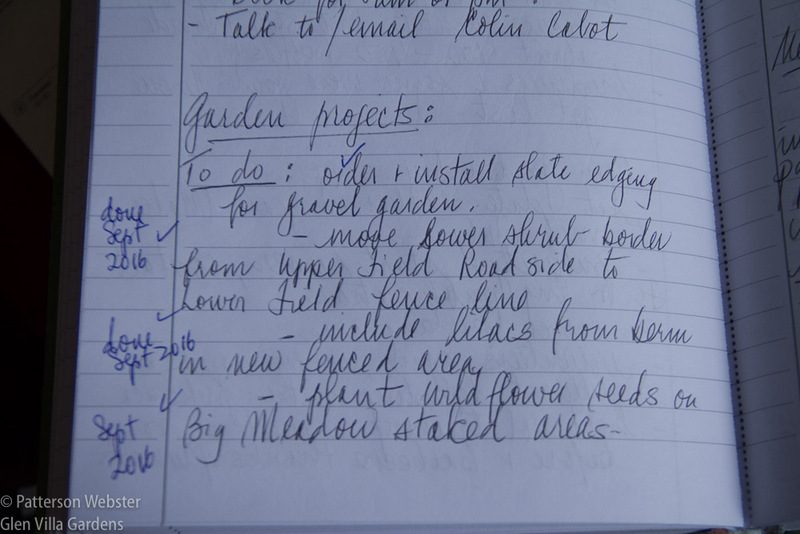 I do keep a running list of garden tasks and ideas on my laptop. Ideas and tasks… I have lists and lists of them. I’m fascinated that with as many flowers and varieties as you have, you don’t have lists. How do you remember the names? What a wonderful memento – and how wonderfully put together! Thanks, Pat. I hope your holidays are happy as well. Pat, I am glad you are making a New years resolution for 2017. 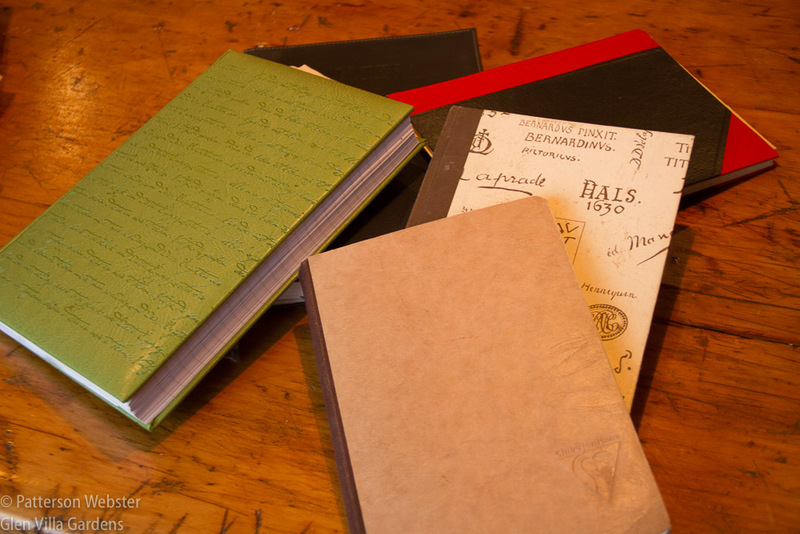 I have kept journals since 1995. 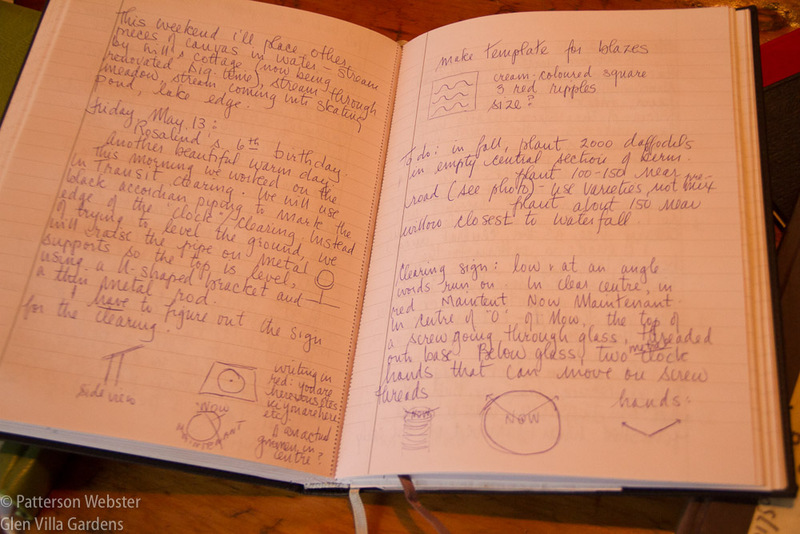 I have to say that my journals slimmed down quite a bit when I started blogging; especially the drawings I used to make. I still keep record of all the plants I plant in the garden each year. Looking back, I have killed a lot of plants! You have motivated me to make resolution to make more drawings in my journal for 2017. Merry Christmas and best wishes for 2017. The number of plants I’ve killed may rival the plantings at Versailles, Michael. One of the unfortunate things about keeping records is realizing that! Best wishes to you, too, for 2017, and if you wanted to share any of your drawings, I know I’d be interested.